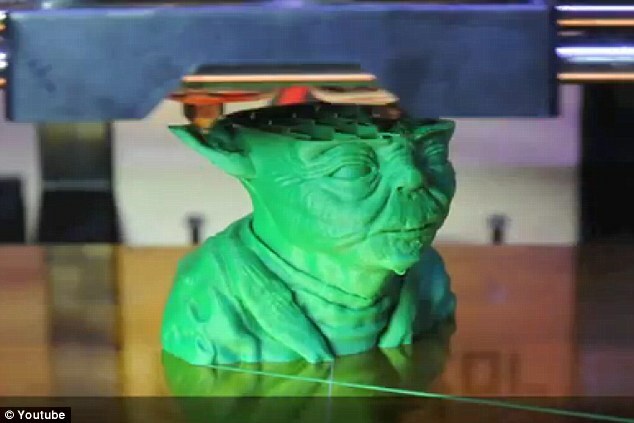 Consider the following example: many if not all the makers soon or later 3D-printed the famous head of Yoda from StarWars. Just download it here, for free! What the heck?! Copyrighted "Youtube" while published in the UK Dailymail without a single reference to Disney? Well, we all take for granted that is has become an iconic calibration test... Or is it really? Do Disney/LucasArt/Whatever agree? Legally, only the copyright owner may lawfully recreate images of the character, else you need a license to recreate such images. Oops. I just checked and there are four pages worth of Yoda's head derivatives on Thingiverse (and 3554 "illegal" downloads just for the parent of all of them)! Now think about the expensive "Mechwarriors" or "Barbies" that are being sold to youngsters? Would people naturally restrain from printing them for a few cents at home for their kids? Probably not more than they download illegal movies. So is copyright something 3D-printer owners care about? Actually, I cannot tell for the users that never design an object. Strangely though, designers are probably more common than users as for now (april 2013). So the question is more interesting when stated as: "do makers from the 3D printing community care about copyrights?" After all, most of us publish things under "free" licenses, such as the Creative Commons, the GNU or other open source licenses. We design open hardware and open software, which really characterize one of the most positive and human aspect of the 3D printing scene. 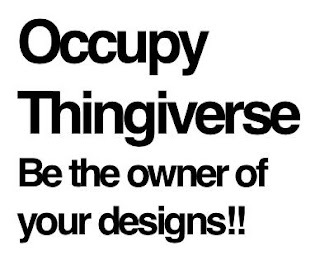 But still, most of us do care about our rights : I easily recall a serious debate spawned by Josef Prusa, one of the prominent and early founders, which he appropriately named "occupy thingiverse: be the owner of your designs". on our own designs by MakerBot Industries, the private owner of the repository. 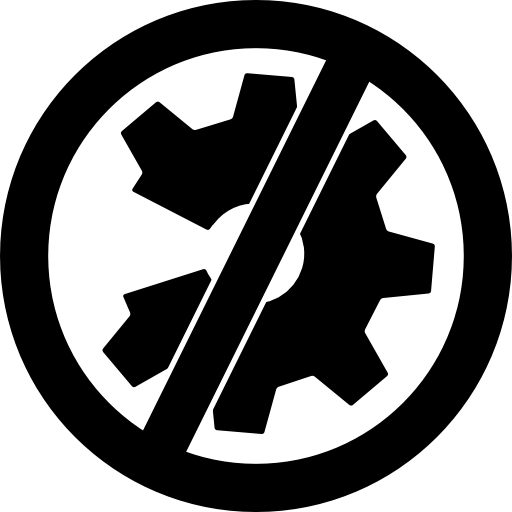 a few million dollars, and no big consideration for the bootstrapping contributions made by the community. Thingiverse is owned by Makerbot Industries, which became closed source after being overfed with investors (how sad that money can change people mind...). Just before being "bought" by money, they granted themselves extraordinary rights along the open license knowingly selected by the designers. They did not tell a word before the uprising, and it did not help much afterwards. The upsetting feature in their ToS (terms of service) grants them extra rights on the designs: they stated that they did not have to comply to the license we chose in the first place, and that license was only valid for others. Their argument was that other website did alike and that it was compulsory for them to legally offer our designs to other. But they were further asking us to waive our moral rights on our designs (article 3.2), which is just outrageous and plain illegal in most of Europe at least. In July, 2013, Makerbot was bought by Stratasys for an outstanding $403M, which shows how much they went fully "old style business"... So the the "special" ToS now can be used and abused by a huge company known for its long innovation-blocking patents (or could they have just plainly ignored the CC license?). Anyhow they featured in a trade show some of the most well-known artistic work uploaded to Thingiverse. As such, some people like Dizingof removed all of their designs. Please do check his post, it gives excellent explanations and links. So you bet we do care about our rights! Given this, it is hard to ask for the right to copy and let people download any model regardless of the copyright holder? Do not think that I am saying that makers/designers are pirates though : for examples, all my objects are genuine creations of mine, but for a few clear and legal derivative of other's work. How will the "majors", aka the Industry, fight back ? Soon or later, the "majors" will increasingly go after the 3D model repositories with DMCA requirements (though DMCA is a very US-specific stuff and inefficient approach). It already happened a few times, but I would not be surprised that individuals soon or later will get sued: print a head, go to jail. There are also long-lasting rumors of digital right management systems that could be added to the printer. 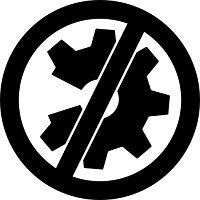 Will the open source printers be banned because they lack the special trademarked chip to asses and decode the 3D shape? Will designed be required to pay to sign their design? Am I pessimistic? Think about what happened with MP3 music... Nowadays even a grandma that illegally downloaded a few songs may get in deep trouble and outrageous fines (apparently random ones). And it does not prevent it anyway. People would think it was just bad luck. The status of 3D printing models matches a lot that of the early MP3 music tunes. Majors first did not realize the "threat" to their intellectual property at first. Then, they only tried to stop it by suing everyone. They all failed to consider it as an opportunity, and they let new players such as iTunes get the market and start eating their massive margins. 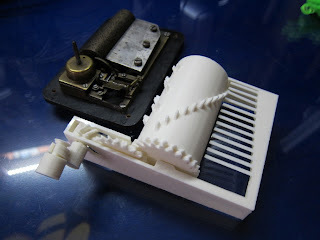 The brilliant printed music box by Philipp Tiefenbacher. Let us just hope that the industry reacts with intelligence and good will this time. Could it adapt to the homemade 3D printable things? I don't know but if they just try to take the whole things down they will fail as miserably as the majors with the music industry. Who buys real CDs nowadays? Who would still go to a store buy a Barbie when it can download and print a customizable version for a few cents instead? I foresee as many that the 3D printing battle to come will be something order of magnitudes bigger than music! So what is the way out for the industry? Who knows? I am no economist, and this is a really serious issue that many should think about. A lot of "injustice" on both sides is to be expected, with abuse on both sides also. Could the industry adopt the practice of a few existing ones? Some companies deliver a full blown notice of each of the parts of the object you purchase, with references or sizes of each of them. This often occurs for high-end electric craftsman tools, electronic measuring devices and so. It means you know what is inside and you have a chance to repair it yourself. Could Lego publish the official specifications of their bricks (well, may be they did already), and go further by letting you download them and print them at home after you pay online? Why not? Curiously, Wolfcraft, known for its tools and accessories, did publish one design on thingiverse, but it really did nothing more around their own tools. To me, publishing the specs of the item also means that the company knows how to make a profitable business without hiding behind a stupid set of ridiculous patents, and that it neither rely on the environmentally aggressive planned obsolescence to make money. Is "opening" you specs a threat to your business? Consider my desktop DC regulated power supply: it came with the detailed electronic schematics and all the references of its components, which is not unusual for such goods. And I can even download them legally, as people that did not buy the power supply ! So, in the end, I just trust the company that built it, and I would recommend and buy again. It is another counter-example of planned obsolescence. Bingo for them! And another happy customer.